Asked about his vision for the development of Tai Chi and about the developments he would like to be continued in the future, Ken van Sickle states that there are many explanations which answer the question “what is Tai Chi?”, ranging from martial arts over exercise systems and philosophy to Daoism. 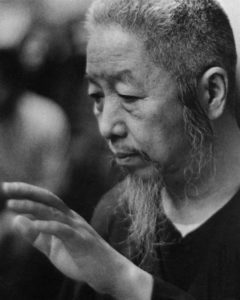 His vision would be that people get together and combine these diverse angles, so that they are all available to students and all possibilities are open to the beginner, so that the practice of Tai Chi can be more fully undertaken. Concerning studying, Ken sees a difficulty to find enough people with patience to learn in New York, which to his impression is different in Europe, where Tai Chi is also explained better – with the downside that a certain competition (“we are better” / “we won”) also prevails in Europe, which seems rather pointless to Ken. Asked if he minds if other people say that his Tai Chi is not real Yang style, Ken answers that he does not care about the styles of Tai Chi and that he likes Wu style very much. With the exception of Chen style, which he sees rather as a style for starters and young people, Ken expresses that whether it is Wu or Sun or Wudang, they are all good and he would be as happy if he started any of them. For him it was a question of which teacher was available and ultimately which master did impress one. While Ken got a feeling that “Cheng Man Ching came to New York to teach me”, he might have been impressed this way by representatives of other styles as well, but they were not available to him. Concerning Cheng Man Ching, Cheng’s connection to other subjects – him being an artist, a scholar, a thinker – and the feeling that he was using the principles of Daoism to do everything, even flower arrangements, made a big impression on Ken. Tai Chi Sword practice, in a century with machine guns and policemen all over the place, does at first seem unnecessary and in the second place at best a sport, as in Western fencing. Taking the idea further Tai Chi sword has a double purpose. Firstly, it opens up a way to learn sensitivity with any instrument – borrowing the elegance and subtlety of Tai Chi sword form and fencing. Secondly, the sword can be seen as an instrument of the Dao: having a function of interaction in dueling and cutting, it is also used as a shield and as a weapon at the same time – embracing opposites along Daoist lines of thought. Learning to handle an instrument that has a purpose and a principle, like the Tai Chi sword, opens up the possibility to transfer this skill to other instruments, be it a tennis racket, a golf club or a violin bow. This possibility of effecting subtlety does not lead to better playing but allows relaxed use – expanding your Qi or life energy into an instrument. What is the Dao for you? Referring to the simple but cryptic poems of Lao-Tzu (Laozi), Ken identifies the elements of opposites, balance and the overarching question of how to make things work on a simple way. 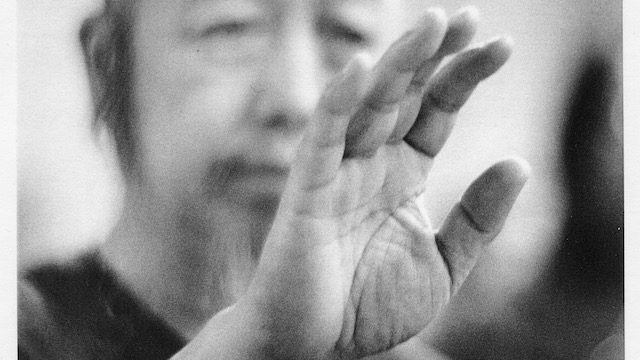 Feeling it hard to explain – one of the suggestions of Lao-tsu being that you cannot explain the Dao, you have to experience it – Ken points out that Lao-tsu concerned himself not so much with religion, God or love, but with the question of how men were and what they do. Even if some made a religion out of it – which is also something men do – it is for him a way of life, which is applicable to everything. As an example: If you want to know something about a thing, just think about its opposite. Chuang-Tsu (Zhuangzi) took this exercise in flexibility and developed it not little poems, but in marvelous stories. Tai Chi is made up of many aspects. 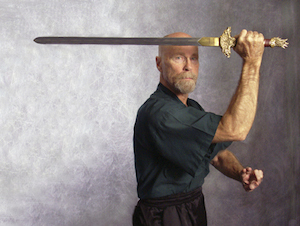 To Ken, the many ways to approach Tai Chi – form, push hands, sword, seven foot pole, dao (saber) and so on – are all to get another angle, another facet of the jewel that it is. This interview is part of our Cheng Man Ching series.